A dredge puts a lot of enticing baitfish in the water to draw the eye of hungry game fish. 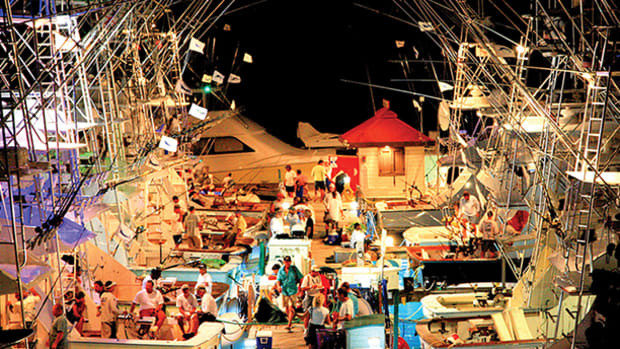 Get educated on the dredge and learn how tournament captains troll for billfish. 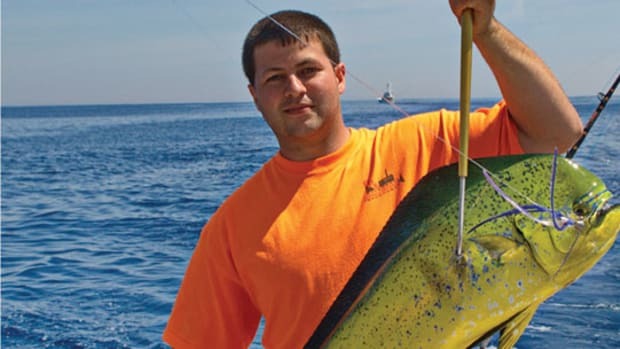 I think Ryan Higgins has one of the most enviable jobs in sportfishing and therefore in the world: He’s the factory tournament captain for Viking Yachts as well as the sales manager for the company’s southeast dealer network. 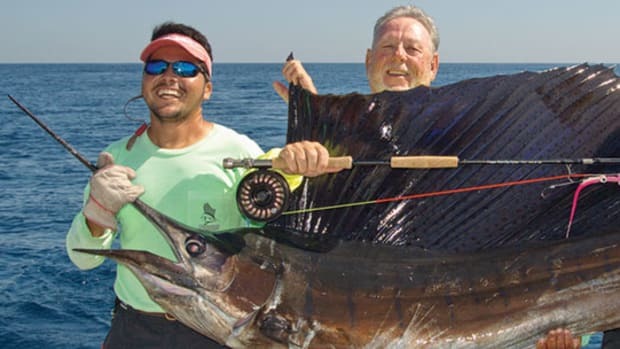 He gets a new tournament-rigged Viking to use every year and fishes between ten and 15 tournaments from the Mid-Atlantic to Mexico and the Bahamas. 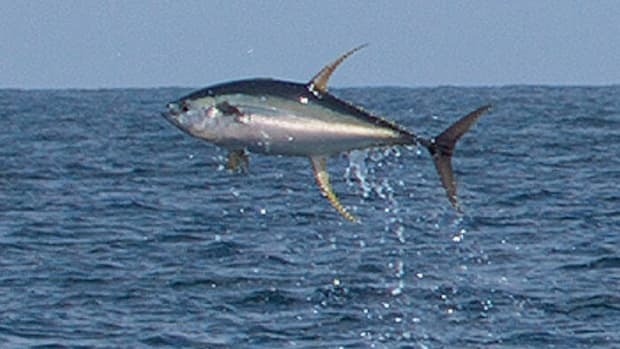 So far this year he has taken second in the Gold Cup, first in the Florida Fish for Life, second in the Buccaneer Cup, second in the Viking-Ocean Shootout, and second overall in the Ocean City Overnight (plus largest tuna). I caught up with him in Ocean City, Maryland, during the White Marlin Open and he was in second place in release points on the last day of the event. 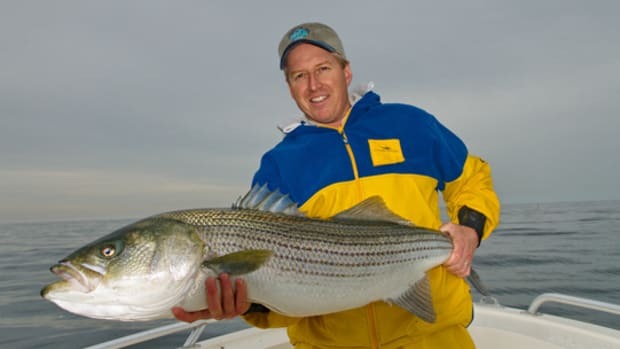 What’s Higgins’s advice for someone looking to tangle with bluewater game fish? 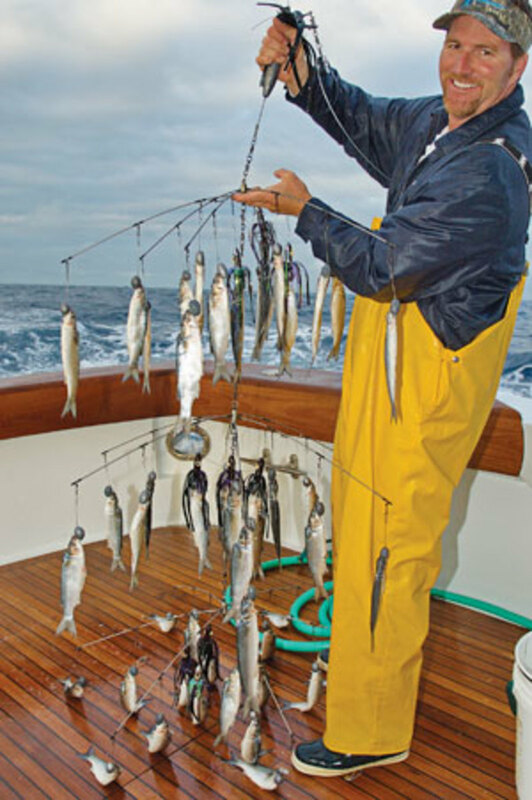 A dredge is a rigging system using a series of crossed spreader bars to position a group of hookless teasers to emulate a three-dimensional school of fleeing baitfish. 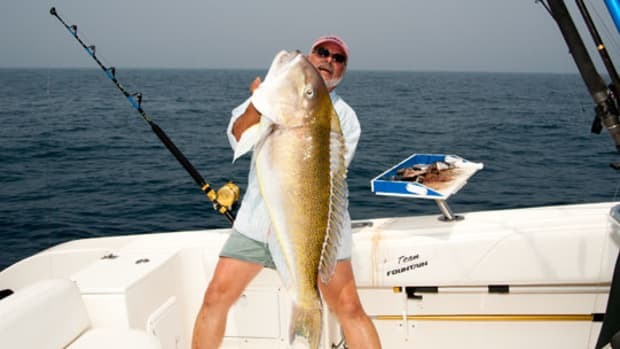 Higgins has been fishing dredges since he started his offshore fishing career on a tournament boat out of Charleston, South Carolina, at the tender age of 21. Team Viking trolls double and triple dredges from heavy-duty electric teaser reels that Higgins controls from the bridge. 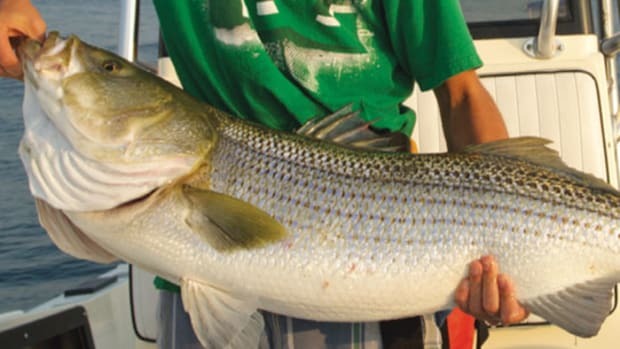 In tournaments the dredges are armed exclusively with rigged natural baits—mullet or ballyhoo. 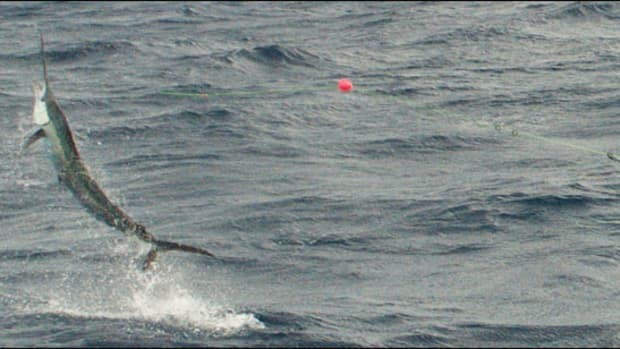 There’s an exception to every rule, and when Higgins is fishing for blue marlin and trolling speeds are increased to 8 knots, those baits can wash out quickly. That’s when the inside positions on the dredge arms get plastic baits. So with many competing boats fishing dredges why is Higgins so consistently in the hunt for tournament wins? 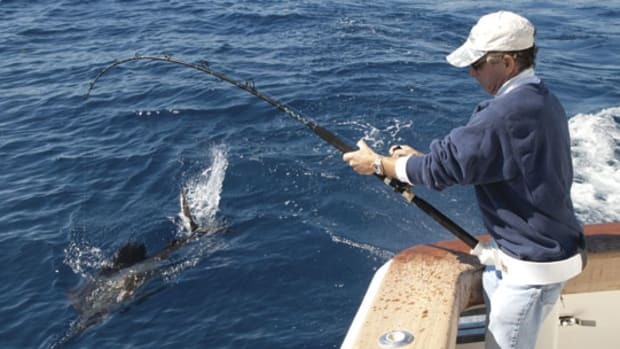 Fishing with dredges means most strikes are going to come on the flat lines set just above and behind the dredges or on baits fished actively from the cockpit—whether by dropping back to visible fish or using a technique called prospecting. Prospecting consists of dropping a rigged bait off the transom with the reel in free spool and letting it wash back under and away from the dredge so it looks like a wounded fish falling away from the school. Higgins even mounts a video camera in his dredge to help him understand how game fish attack. 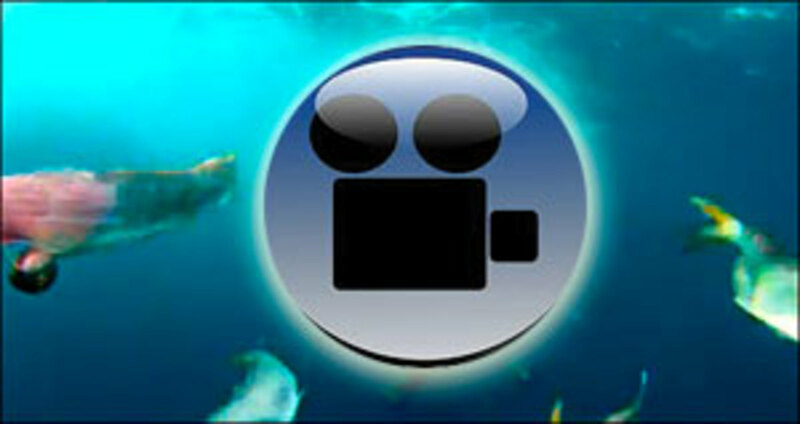 “We’ve got footage from the dredge cam that shows tuna schooled up right behind the dredge,” he says.